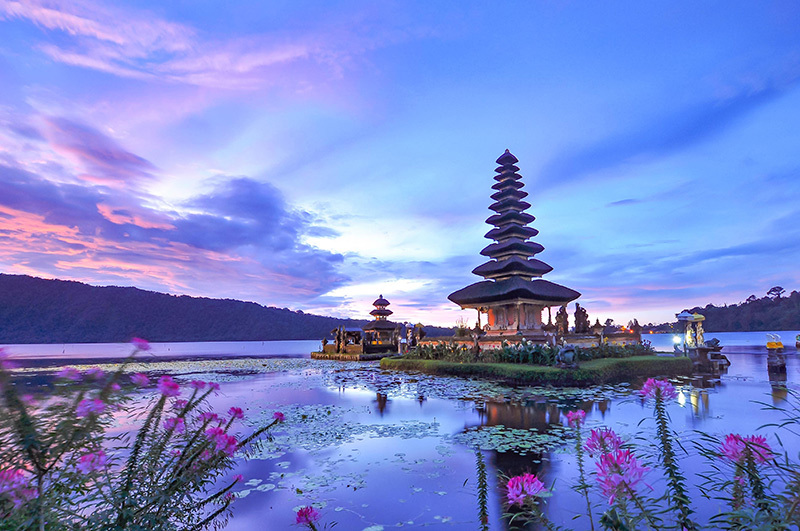 Bali is often described as a paradise, it’s been the setting for some much-loved films and books including the popular Eat, Pray, Love; the story of one woman’s travels around the world ending in Bali. The island is home to Indonesia’s Hindu population, as well as 500 species of marine life (that’s seven times more than the entire Caribbean) making it one of the best places in the world to indulge your love of scuba diving. Bali is also the setting for a unique royal family, a unified confederation of kingdoms, made up of 10 traditional royal Balinese families, who have no political power and are not recognised by the Government, but they’ve been in this regal position since before the Dutch colonization. If none of those appeals to you, there’s still so much to Bali that will steal your heart like the Balinese cuisine, magnificent temples, relaxed way of life and unforgettable beaches. 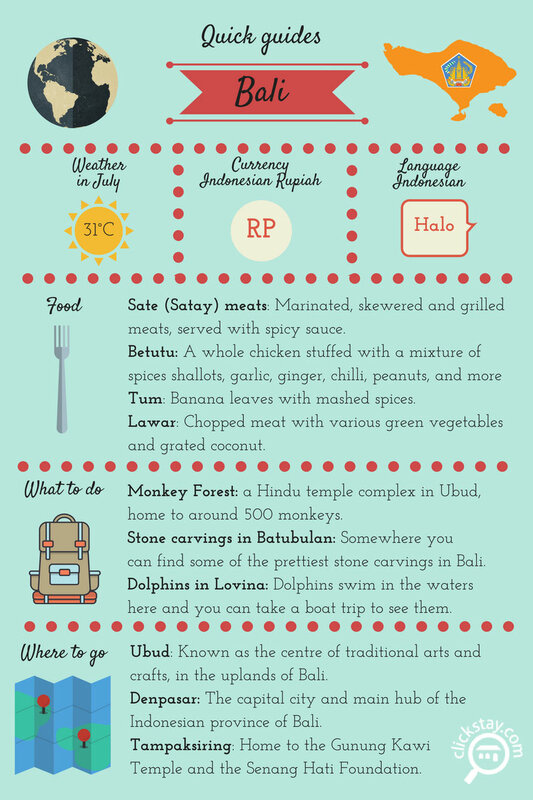 So, if you’re ready to book your tickets and discover Bali for yourself, here’s a few facts to help you navigate your way around…. What’s your name? : Siapa nama anda? Please say that again: Bisa tolong diulangi? How much is this? : Berapa harganya? Do you speak English: Anda bisa bicara bahasa inggris? There are many different ways to travel around Bali and the type of transport you choose depends on the type of holiday you wish to take. If you plan to journey to different towns, the cheapest option would be to board a public bemo, a type of small van that ferries people around. But if you prefer the reliability of your own transport you can rent a car, just be careful navigating the roads of Bali, they are notoriously dangerous. However, if you prefer to gain an intimate knowledge of the area in which you’re staying, it’s best to hike. Just remember if you decide to hire/rent any form of transportation - do business with a reputable company. 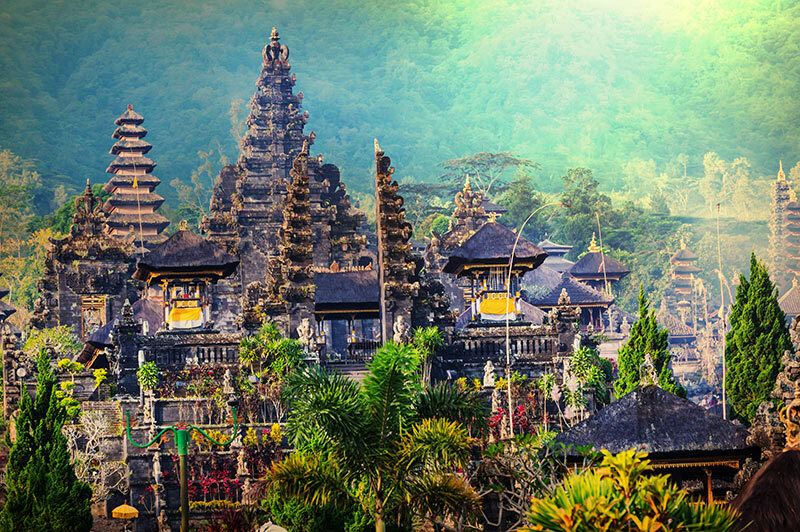 The cost of living in Bali is approximately 49.8% lower than in London. A meal at an inexpensive restaurant can be between 20,000RP to 40,000RP which is the equivalent of a few English pounds. A pint of domestic beer will cost you around 20,000RP and a bottle of mid-range wine will be about 200,000RP (£11). So, it’s safe to say you won’t have to splash out a lot to enjoy the finer things Bali has to offer. Bali isn’t lacking in things to do, it doesn’t matter what kind of person you are there’s always something to indulge your passions in life, even if that’s enjoying a meal on top of a live volcano, at the Madu Sari restaurant. But if you’d prefer surfing, scuba diving, swimming or any water based sports, then head to Kuta beach, free of any sharp coral, or you could visit Ulan Danu temple at the edge of Baratan Lake. 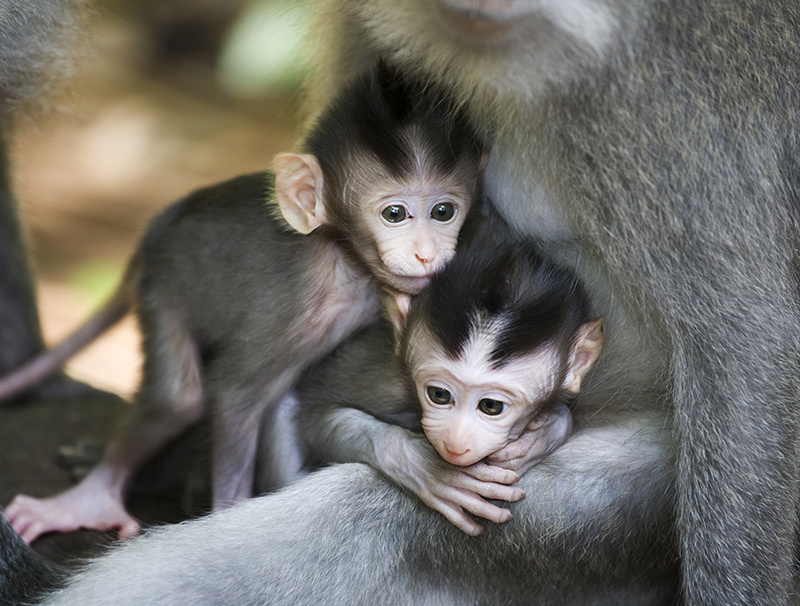 But one sight you won’t want to miss is the Monkey Forest, home to over 500 furry friends. You can buy treats for them at the main entrance, just hang on to your belongings, they may be cute but they’ve been known to grab. Balinese cuisine is a mouth-watering mix of tradition and other Indonesian influences. As the majority of the island practices the Hindu faith, which means certain dishes are prepared to celebrate major events. It also means beef is rarely consumed on the island. The most common ingredient you’ll find in most dishes is rice, along with pork, seafood, vegetables and fruit. If you wanted to try your hand at cooking some traditional Balinese food there are many cooking schools, taught by locals, throughout the island. But if you prefer the tastes of home never fear as Bali also has many restaurants catering to western tastes. 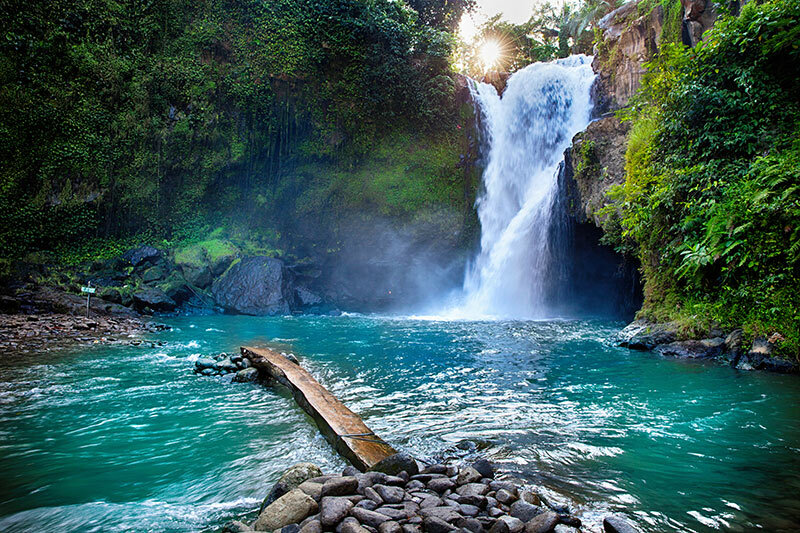 So, now you know everything to enjoy a holiday in Bali.